Products | Mudbusters Carwash Co. 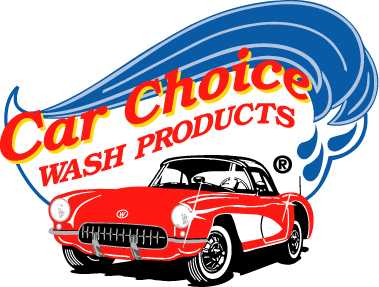 The business of car washing requires quality soap, wax, and detergents, at reasonable cost, and other items to keep customers happy and coming back. 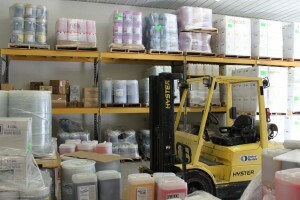 Mudbusters stocks a full warehouse of car care products. Early on in our car wash business, we discovered, in Alaska, there was little support, and even less knowledge about how to actually clean cars here, and without touching them! We built a CARWASH, with the intention to clean cars! Many outside sales folk, were eager and willing to sell products, but no one could show us, teach us how to do it, how to really clean a car. This led to trial and error, on our part, and a lot of free car washes given away. All, in our effort, to learn how to clean a car. Brand names tested included; Blue Coral, Diamond Shine, Blendco Super-Sat, Royal Sheen, Stone Soap, Zep, and a number more! A dozen brands! Visiting, out of State, soap salesmen, I found to be of little help, it seemed that selling their wares was more important than cleaning cars! It was discovered by us, that all products do not perform as claimed. Some proved ineffective, others better, but at high cost. I spoke to chemist’s, who worked for these companies, about the challenges presented, and poor results achieved. Not one could offer a workable solution. This all changed when we tested Warsaw Chemical products. The chief chemist developed test products, that for the first time really got the job done! Best of all, at nearly half the cost. Since, Warsaw Chemical has developed specialty products for Mudbusters Carwash Co., products that pack the punch needed to get the job done in Alaska. Mudbusters Carwash Company proudly distributes Warsaw Chemical products in Alaska. Products designed for AK. We supply car washes from Juneau to Fairbanks. Maybe you can, as we have learned, to clean as well or better, and at lower cost? Contact us to just say Hello, talk car wash, and ask for info and pricing. Designed by MarketMyLocalBiz | Powered by Mudbusters Co.